There was a time when off road racing, was more like secondary road racing. Before asphalt and super highways, there were gravel roads that lead everywhere and no where. People use to gather at the beginning of these roads and have a trails race. 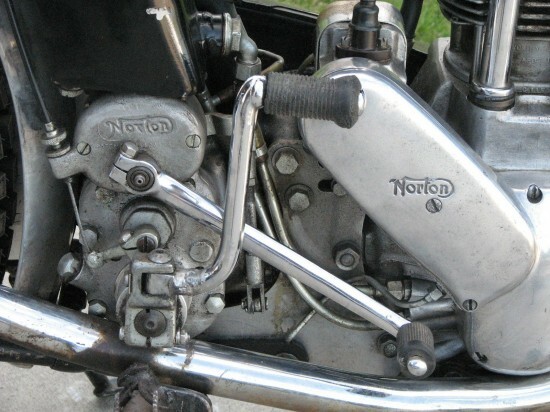 This 1953 Norton is said to be a factory original trails competition bike. 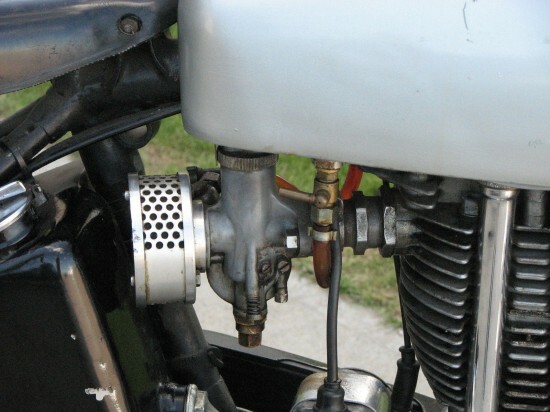 With any time of racing, the basics are to remove anything that you do not need, or replace it with something lighter. With off road or trails riding, you also have to remove anything that could break, and replace it with something stronger. Though vintage trails bikes did not fly over 20 foot table top’s, the roads they traveled could easily break a lesser machine. The bike is very original in the main. 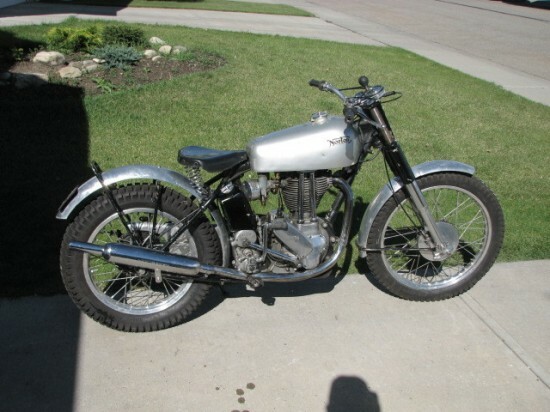 It even has a rust free interior to the fuel tank. 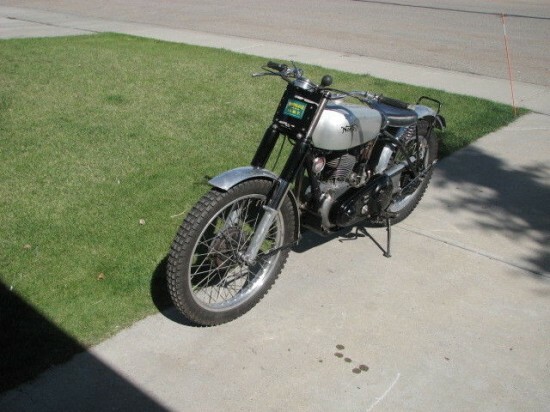 It enjoys a patina of use and is not a show bike but meant to be ridden. The bike has had some improvements over the years and these are:- Folding footrests and smaller rear brake lever for usability. Smaller more tucked in “Sammy Miller” kick start. Amal monoblock carb for better fuelling. 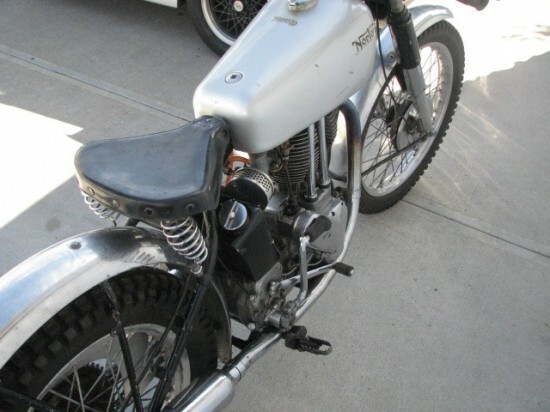 Special “one off” alloy chainguard, alloy turned kickstart spring cover and oil bath mounting hardware. 21″ and 18″ alloy rims to use modern trials tires, a new Mitas is fitted to the rear. 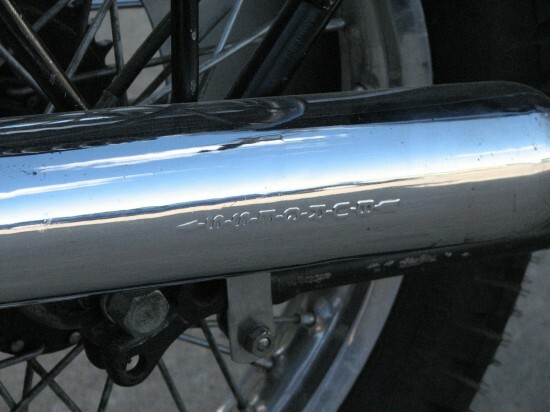 Burgess silencer was a popular period mod as it has a cutout in the rear allowing the silencer to tuck in by a further inch. A 17 tooth engine sprocket is fitted but I will supply the standard 20 tooth one as well.